Rated for 4500psi and constructed with carbon fiber to reduce weight. 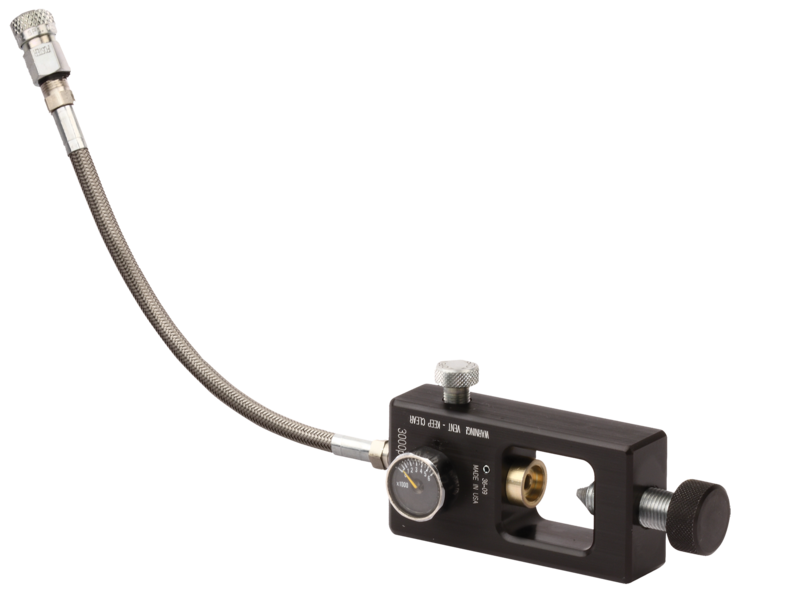 Includes a stainless steel fill connection, 12" microbore hose, restricted flow manifold for controlled filling, built-in pressure gauge and bleed valve. Standard 38" / 342 cu in size provides up to 80 fills and is DOT certified.T.. 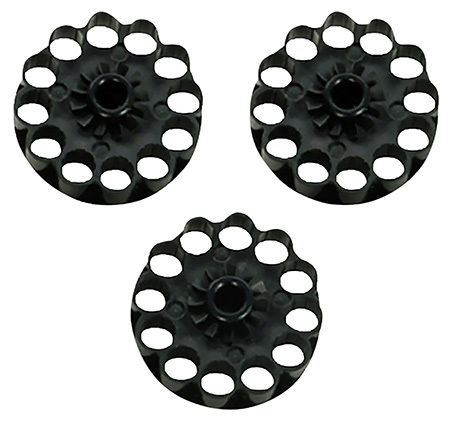 This 4-piece intermount readies Benjamin and Sheridan air rifles and pistols for optics. This dovetail mounting solution is compatible with Benjamin and Sheridan air rifles (models 392, 397, CB9, C9) and pistols (models EB17, EB22, HB17, HB22). It is also compatible with earlier Benjamin rifles (mod.. 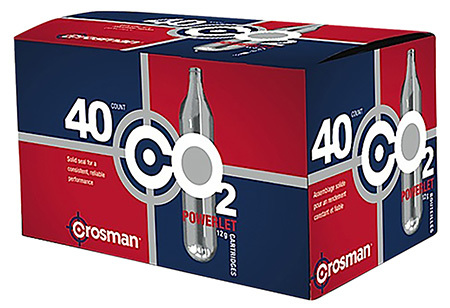 This adapter will refill CO2 for Benjamin Discovery. It has a C GA-320 fitting with .825x1/4 thread, 8" braided stainless steel hose and a female Foster fitting. 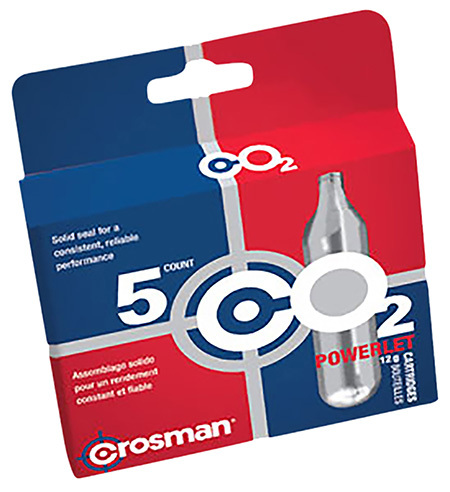 It can also be used with current CO2 paintball tanks. Do not use for filling gun with pressurized air.Type: Air RifleSize: .825 1/4 Thre.. The Dual Fuel Fill adaptor is unique to the Discovery Series product line. This adaptor comes complete with a CO2 or compressed air tank C GA-320 fitting with a .825-1/4 thread and a petcock valve, a 12" stainless steel braided hose, a patented bleeder valve and a female Foster fitting. This adaptor.. This easy to use Scuba Yoke Adapter allows for scuba tank filling of Benjamin PCP air rifles.Type: Scuba Yoke AdapterSize: PocketCaliber: N/AQuantity: 1Finish: BlackMaterial: Metal.. 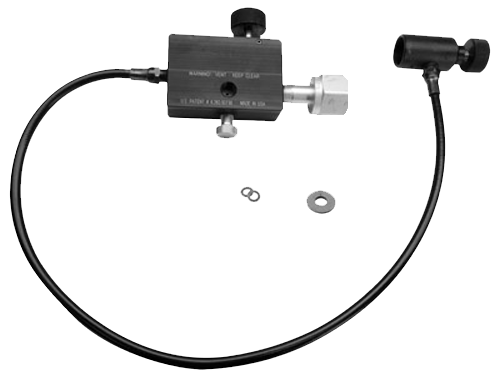 This Filling Station attaches to a CO2 common bulk-fill tank to refill Benjamin or Crosman air guns. An ASA adapter (CGA 320 valve) will be needed to attach from the fill station''s hose to the gun. This fill station features a pin-valve depressor, fill control and vent knob.Type: Air RifleCaliber:.. This 3 stage high pressure air pump is specially designed to fill PCP airguns. The PCP pump has a universal adapter and works with the Benjamin Marauder, Discovery and the Crosman PCP Challenger.Type: Air PumpCaliber: N/ACapacity: 350 Shot BBQuantity: 1Finish: BlackMaterial: Plastic/MetalModel.. 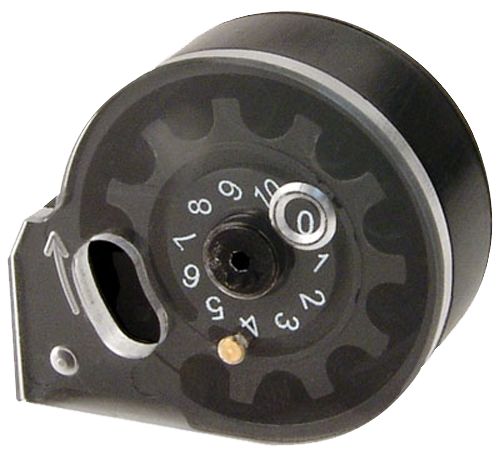 This ten Shot auto-indexing magazine is for your .22 caliber marauder rifle.Type: MagazineCaliber: .22 PelletCapacity: 10Finish: BlackMaterial: PlasticModel or Style: Auto-Indexing Magazine.. This eight shot auto-indexing magazine is for your .25 caliber Marauder rifle.Type: MagazineCaliber: .25Capacity: 8Quantity: 1Finish: BlackMaterial: PlasticModel or Style: Auto-Indexing Magazine.. 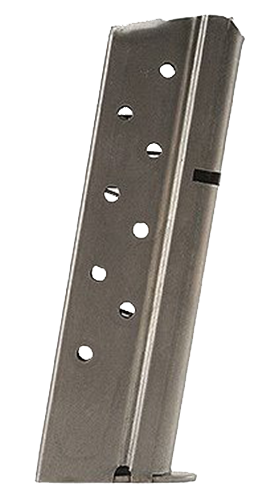 This is a 10-shot auto-indexing magazine for the .177 caliber Marauder Rifle.Type: MagazineCaliber: .177 Pellet/BBCapacity: 10Quantity: 1Finish: BlackMaterial: PlasticModel or Style: Auto-Indexing Magazine.. Specially developed for Crosman CO2 and pneumatic pump guns, Pellgun oil prevents your airguns from rusting and the seals from drying out. See operating instructions in your manual before using.Type: Air Gun OilSize: .25 ozCaliber: N/AQuantity: 1..
Pre-load these three 12-shot rotary pellet clips with .177 caliber ammo for virtually uninterrupted shooting with the Crosman RepeatAir 1077.Type: SpeedloaderSize: PocketCaliber: .177 PelletCapacity: 12Quantity: 3Finish: BlackMaterial: PlasticModel or Style: Rotary Pellet Clip.. 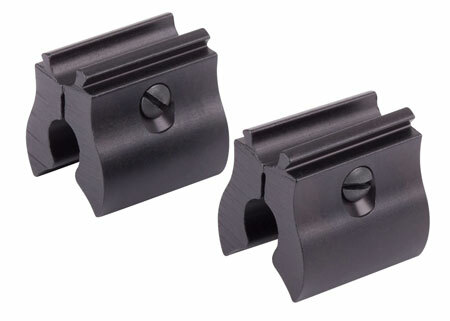 This pack of 3 spare clips is for use with Crosman 1088, 1008, and T4 series of pistols. It holds 8 .177 BB or pellet rounds.Type: ClipSize: PocketCaliber: .177 Pellet/BBCapacity: 8Quantity: 3Finish: BlackMaterial: PlasticModel or Style: Rotary Pellet Clip..
Be sure of proper fit and seal with genuine Powerlet 12 gram CO2 cartridges. 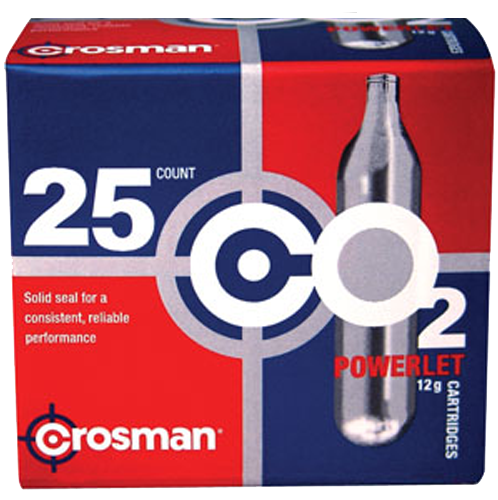 Exacting tolerances ensure consistent performance in virtually all gas operated guns.Type: CO2Size: 12 gramCaliber: N/ACapacity: 12 GramsQuantity: 25Finish: SilverModel or Style: Air Gun..
Be sure of proper fit and seal with genuine Powerlet 12 gram CO2 cartridges. Exacting tolerances ensure consistent performance in virtually all gas operated guns.Type: CO2Size: 12 gramCaliber: N/ACapacity: 12 GramsQuantity: 40Finish: SilverModel or Style: Air Gun..
Be sure of proper fit and seal with genuine Powerlet 12 gram CO2 cartridges. Exacting tolerances ensure consistent performance in virtually all gas operated guns.Type: CO2Size: 12 gramCaliber: N/ACapacity: 12 GramsQuantity: 5Finish: SilverModel or Style: Air Gun.. Type: ClipSize: 357Caliber: .177 PelletCapacity: 10Quantity: 3Finish: BlackMaterial: PlasticModel or Style: Rotary Pellet Clip.. 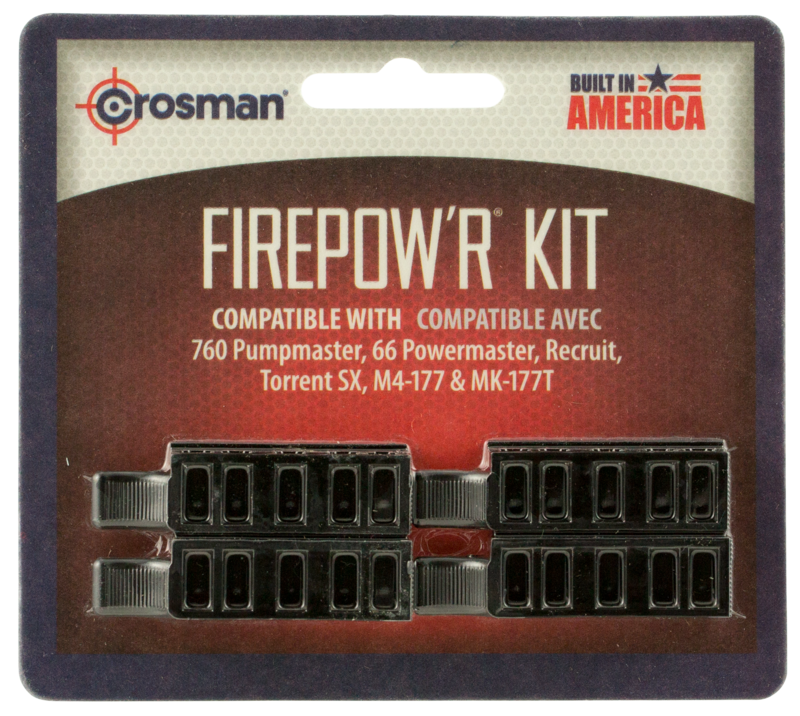 The Firepow''r kit includes four 5 shot pellet clips for Crosman 760 Pumpmaster, Recruit, 66 Powermaster, 7781 and M4-177 air rifles.Type: MagazineCapacity: 5Quantity: 4Finish: BlackMaterial: PolymerModel or Style: Cartridge.. This handy tool holds 16 .177 caliber pellets in a tube designed for easy loading into tight breeches. The pen clip allows it to store securely in a pocket.Type: Loading TubeSize: PocketCaliber: .177 PelletCapacity: 16Quantity: 1Finish: Red/BlueMaterial: Plastic/MetalModel or Style: Tube: N..
Keep your rifle like new with this lubricant specially created for Crosman spring air rifles. 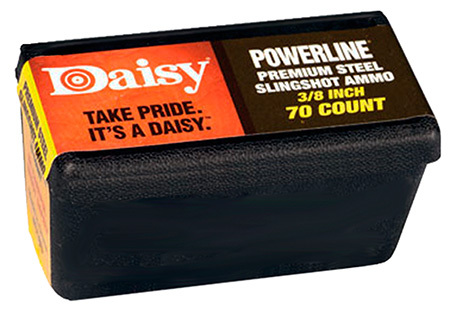 Never use regular pellgun oil for a spring air rifle.Type: Air Gun OilSize: .25 ozCaliber: N/ACapacity: 350 Shot BBModel or Style: Blank..
Daisy''s PowerLine CO2 cylinder is for Daisy Air Guns. 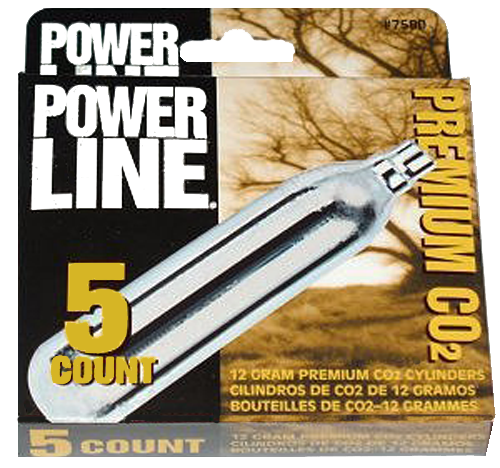 This model comes in a pack of 15.Type: CO2Size: 12 gramCaliber: N/AQuantity: 15Finish: SilverModel or Style: Cartridge..
Daisy''s PowerLine CO2 cylinder is for Daisy Air Guns. 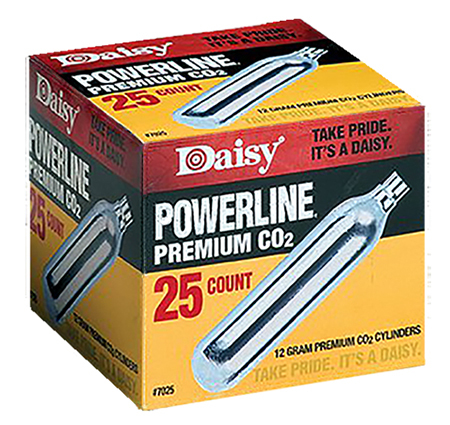 This model comes in a pack of 25.Type: CO2Size: 12 gramCaliber: N/AQuantity: 25Finish: SilverModel or Style: Cartridge..
Daisy''s PowerLine CO2 cylinder is for Daisy Air Guns. 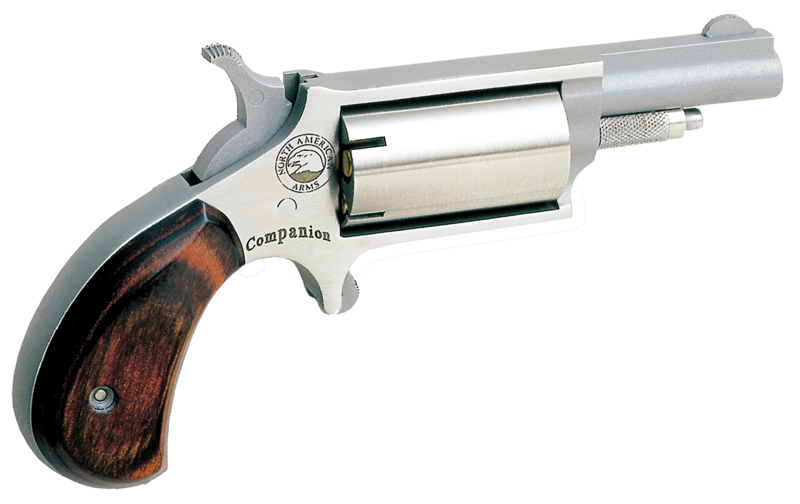 This model comes in a pack of five.Type: CO2Size: 12 gramCaliber: N/AQuantity: 5Finish: SilverModel or Style: Cartridge.. Premium zinc-plated solid steel slingshot ammo 1/4" or 3/8" diameter.Type: AmmunitionSize: .25"Caliber: N/AQuantity: 250Finish: SilverMaterial: SteelModel or Style: Slingshot..
Surgical-grade tubing and durable release pouch provides all the power you need. 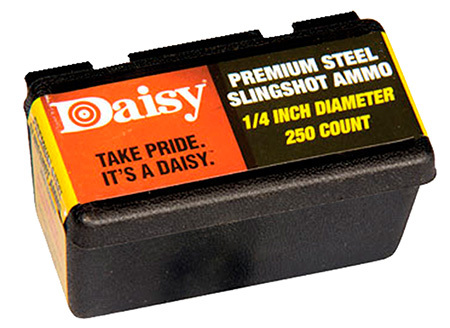 Fits Daisy models F16, B52 and P15.Type: Replacement BandSize: UniversalCaliber: N/ACapacity: 1Quantity: 1Finish: Black/YellowMaterial: Steel Frame/Surgical-Grade TubingModel or Style: Slingshot.. 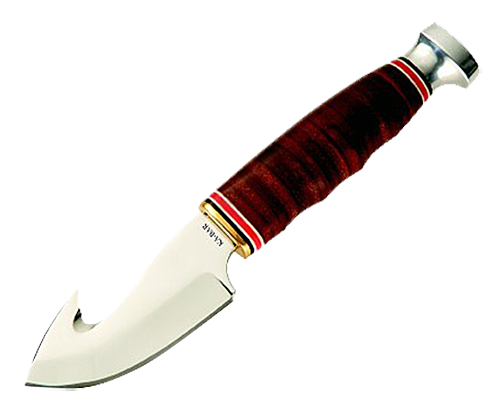 Type: AmmunitionSize: .37"Caliber: N/AQuantity: 70Finish: SilverMaterial: SteelModel or Style: Slingshot.. Enjoy fast shooting action with this clay target dispenser. 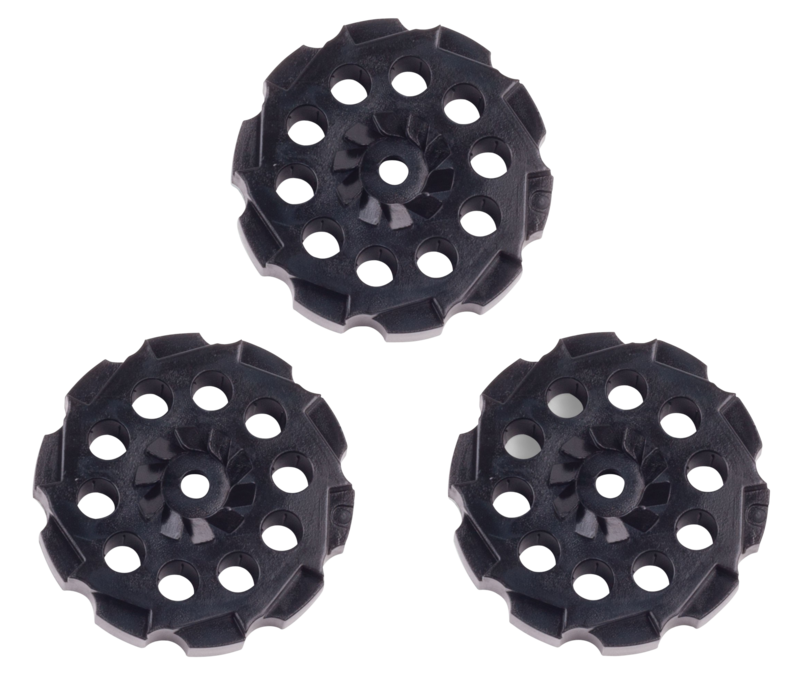 The Six Shooter holds 6 ShatterBlast target discs; break one 2-inch disc and the next drops into place. 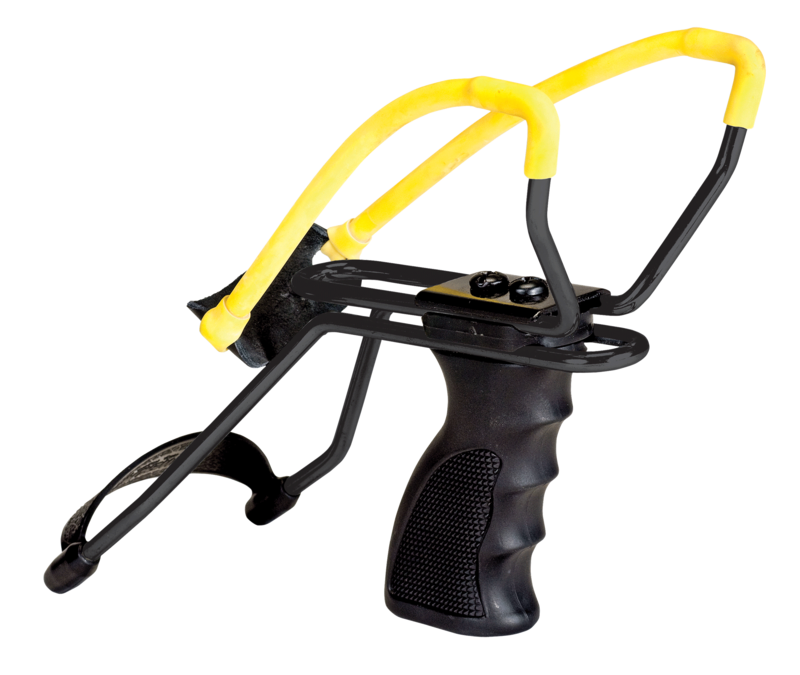 The ShatterBlast Six Shooter comes with 12 clay target discs and two target stakes for additional shooting fun.Type: TargetSize: 2"Cal..
Daisy''s PowerLine Slingshot with Sure Grip provides all the support you need for extra power and accuracy. It features a molded sure-grip handle and solid steel frame with an extra-wide fork. Flexible wrist support provides steady, stable support, then folds away for compact storage. The sling is m.. The sleek, molded pistol grip handle provides a strong, sure grip while the flexible wrist support steadies the arm and improves aim. 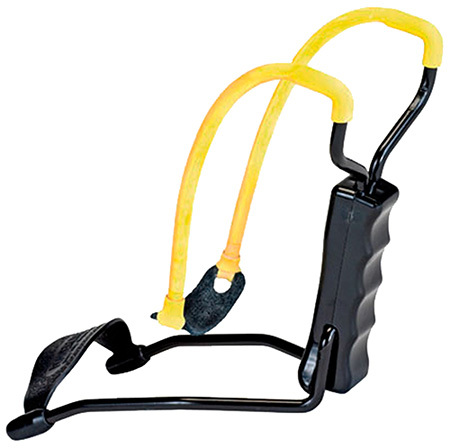 The sling is made of durable, surgical grade tubing and rugged release pouch delivers plenty of power. It has a nickel-finish frame and shoots a range of 1/4", 3/8" a..
Gamo''s Air Rifle Maintenance Center is a easy to use collapsible rifle stand and is designed for quick assembly/disassembly. 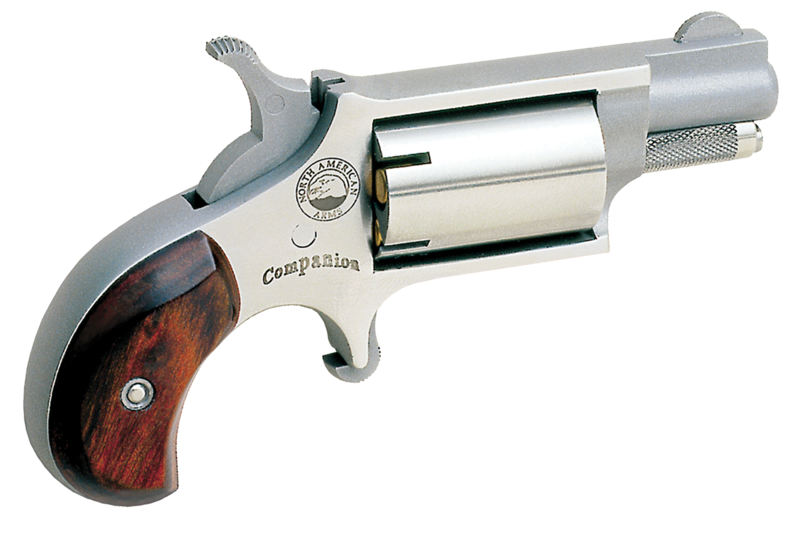 It fits compactly into carrying box so you can do repairs or adjustments in the field, at the range, or on hunting trips. The maintenance center kit includes a collapsible ri..